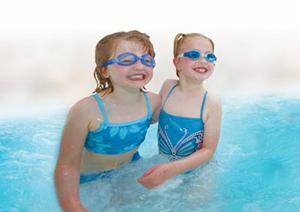 With large aquatics centers and waterparks increasing in popularity — many featuring zero-depth entries, splash pads and more shallow-water attractions — more and more people are able to experience and enjoy water in new ways. But are you staying away from Shallow trouble? However, this also presents new challenges to pool and waterpark visitors, who mistakenly think they aren’t at risk of drowning at a shallow depth or with moving water. Many guests, often adults and adolescents, are non-swimmers and don’t even know it. This is a scary scenario for any aquatics operator. Large waves in the wave pool, currents in the lazy rivers, and the disorientation associated with going down slides with twists and turns, often is underestimated and can present a huge danger. As an aquatics director, we’ve seen a 50 percent increase in adult assists and active saves in the past six years. In many cases, lifeguards are helping a person who is taller than the water depth in which he or she is getting rescued. The embarrassed, but grateful, patron often offers a common explanation, “I lost my footing and panicked.” In these cases, lifeguards often help the person merely stand up. This lack of respect of the water can potentially place children at greater risk, too. Parents or camp counselors are less attentive because the water is shallow. The vast majority of the active saves of children now have been related to an unattended child who got into water that was too deep. Well-intentioned parents or counselors may tell a child to stay in the shallow area. But those of us who work in aquatics know the lure of activity pools’ many features are just too enticing for kids to resist. They easily wander and explore — often to deeper water. Similarly, lifeguards sometimes need to rescue a child wearing a Coast Guard-approved safety vest. While safety vests are wonderful tools for parents to help protect their children, they are no substitution for adult supervision and often provide a false sense of security. I’ve seen children wearing life jackets incorrectly needing assistance. More frequently, children are unable to roll from front to back or vice versa while wearing the life jackets, resulting in submerged mouths and noses. 1 Maintain accurate signage. Warn all swimmers that slides and attractions can cause disorientation and that “shallow” water is equally as dangerous as deep water because of changing depths, currents and other factors. 2 Implement a “within arm’s reach rule.” All children under 48″ are required to wear a wristband, given upon admission to the park with a message on the band to remind parents to stay within arm’s reach anywhere on the pool deck or in the water. The wristband also is an identifier to lifeguards of younger and weaker swimmers. 4 Test and identify. If your facility contains slides or attractions, give to all children wristbands that indicate they are the appropriate height or have the swimming ability to use the equipment. Do this by having a swim test area and height check station. The slide operator still should do a second check for height, but this helps lines move quickly and prevents children who are too small from gaining entry to a slide or attraction for which they are not yet ready. These lines are a common place for children to be separated from their parents, but more importantly, can reduce the lure of nonswimmers if they have been denied the band. 5 Use consistent flotation devices. Do not allow flotation devices other than a Coast Guard-approved (properly fitting) life jacket. In addition, do not allow children who require life jackets to ride slides, use diving boards or be in water over their heads. Soon they will be going down the slide without the jacket and will need to be rescued. 6 Train guards in shallow-water rescue. It must be stressed that the shallow water can carry as much risk, if not more, than deeper areas of the pool. Lastly, encourage swim lessons for all children. Swim lessons are valuable and necessary training for all ages. This training can make all the difference between a fun or miserable day at the waterpark or pool.